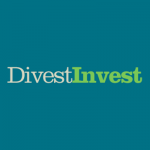 The rapid rise of the global fossil-fuel divestment movement is a very promising and heartening sign of real progress. A growing number of people are trying to “put their money where their mouth is” (i.e., where their values are). They want to stop giving their unintentional financial support to destructive, polluting companies and industries, such as the fossil fuel industry, and to shift their support over to clean, forward-thinking companies and industries that aim to have a positive impact on our world. Putting your money where your mouth is might involve more than just being selective about which stores you go to and which products you buy. You could be unwittingly giving some of your money to companies you don’t want to support, through your accounts and investments: e.g., mutual funds, retirement accounts (IRAs, 401Ks), or any other stock-based accounts or investments. If you look at the list of company holdings that are part of your accounts’ portfolios, you might discover that Exxon and other oil/gas companies are in there, or Walmart, or Monsanto, or Koch Brothers-owned companies (also see the Buycott campaign/app), or McDonald’s or Coca-Cola or cigarette companies… Even if you don’t have any stock-based accounts of your own, there’s a good chance that your city, your college’s endowment fund, your church, or your pension provider invests in companies that don’t align with your values. Institutions like these are increasingly being confronted by local and national divestment campaigns. 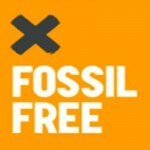 Fossil Free maintains this list of the hundreds of institutions (including colleges and universities, cities and counties, religious institutions, and foundations) that have committed to divesting from fossil fuels. They include: Rockefeller Brothers Fund; the City and County of San Francisco; Seattle, WA; Dane County, WI; Ann Arbor, MI, and many, many more. Countries committed to divest billions of dollars at the UN’s 2014 Climate Summit, and many world leaders have spoken out in support of the divestment movement; they include Desmond Tutu, Ban Ki-Moon, Christina Figueres, Mary Robinson, and even the President of the World Bank. People and institutions are divesting from fossil fuels for a variety of reasons. In addition to the values motivation, or to limit the political influence (lobbying budgets) of oil and gas companies, some are simply divesting because they feel that we’re approaching (or have already hit) “peak oil” and/or that fossil fuel reserves will soon become “stranded assets” and fossil fuel stocks are going to rapidly or drastically drop in value. A few funds that are fossil-fuel free (to date) include: Green Century Fund (both of their funds: Balanced and Equity), Green Alpha Funds, Parnassus Endeavor Fund, Calvert Investments’ Green Bond Fund, Portfolio 21 Global Equity Fund, and Pax World Global Environmental Markets Fund. A couple of fossil-fuel-free indexes have been developed, as well: FFIUS Fossil Free Indexes, and FTSE ex Fossil Fuel Index. Note: In addition to the relatively new fossil-fuel-free criterion (which most SRI funds do not yet meet), there are a number of other environmental and social issues and criteria that SRI funds can screen for, in areas such as: pollution/toxics, nuclear power, defense/weapons, human rights, animal welfare, executive pay, labor relations, diversity, tobacco, alcohol, and many others. (When you click on the link above, select the Screening and Advocacy tab to find out how/whether various funds address each issue.) Note: It’s important that you look at each fund’s holdings and portfolio policies, as many SRI funds do include some companies that are widely seen as problematic (including oil and gas companies); some but not all of those funds explicitly try to influence and improve those companies’ policies through shareholder activism. Another way to invest your money is to make a direct investment in a social impact venture, AKA a social enterprise. One place to find some social enterprises and funds that anyone can invest in is CuttingEdgeX. Among their current offerings (which are called Direct Public Offerings) are the RSF Social Investment Fund and the Calvert Foundation’s Community Investment note at Vested.org. For a list of some other funds that are available to everyone (but with a focus on food and farming-related enterprises), also see the top section of this page. Also see the bottom section of this page for a list of others. Efforts are also underway to create Clean Energy Victory Bonds, which would be treasury bonds where all the funds raised go to support clean energy in the United States. Click that link to learn how you can support this initiative. It’s not just good for the bio-humano-sphere, it’s good for the wallet. Beginning Dec. 21, 2012, I’ve been exploring investments in a selection of fossil fuel companies and sustainable energy companies on Popular Logistics (popularlogistics.com) and on Seeking Alpha (seeking alpha.com). For the 27 months ended March 20, 2015, and not counting the value of dividends, a hypothetical fossil fuel portfolio, beginning with equal values of BP, Chevron Texaco, Conoco Philips, Exxon Mobil, RD Shell, Halliburton, Transocean, and Peabody Coal is down 16%. In the same period, equal hypothetical investments in Cree (CREE) and Lighting Sciences (LSCG) in the LED space, GT Advanced Tech (GTAT), which at the time made solar ovens for cooking PV wafers and is now in bankruptcy protection, First Solar (FSLR) and Sunpower Corp. (SPWR) in the solar space, Vestas (VWSYF), a wind company, Solazyme (SZYM) a Sustainable Oil company and Next Era Energy (NEE), a utility are up 128%. It would be higher if I tracked Solar City. The Dow Jones Industrial Average is up 38.47%. The S&P 500 is up 47.42%, from 1,430 to 2,108. Some analysis is on Seeking Alpha. As for coal — President Obama may use executive orders, the EPA, and the Clean Air Act of 1970 to further limit mercury, carbon dioxide, and other emissions from coal. Some consider this a “War on Coal.” But rather than Obama’s war, it seems to me that this could be “The Invisible Hand” of the marketplace or Schumpeter’s Gale of Creative Destruction.